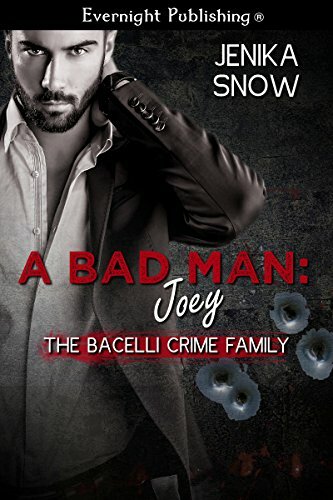 After Joey Bacelli’s father passes away he becomes the Boss of the Bacelli crime family. The “family” is made up of violence, gore, and death, and it’s all Joey has ever known. He always gets what he wants, except for the one woman that continuously denies him. Marra Santos knows who Joey really is, but she wants him regardless of the fact he is a dangerous mob Boss. When she witnesses a murder and Joey comes to the rescue, he isn’t the Knight in Shining Armor she hopes for. In fact, he kills the man that was about to put a gun to her head. Once back at Joey’s place he can’t let her leave, not until the threat to her has been dealt with. He wants her, badly, and will show her they are meant for each other, despite the dark and dangerous life he leads.